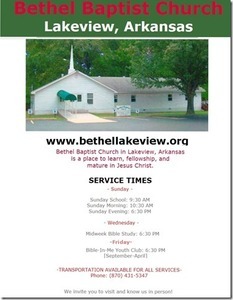 A place to learn, fellowship and mature in Jesus Christ. Our joy is teaching the basics of God's Word, in context, one verse at a time. Our motivation is sharing the gospel to the people of Lakeview.